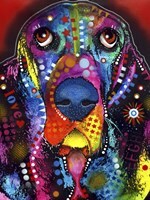 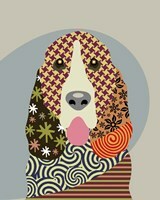 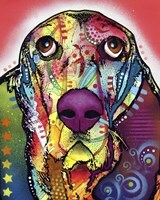 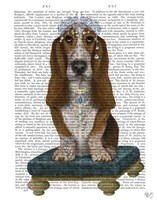 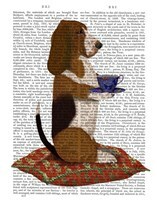 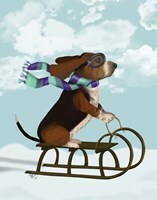 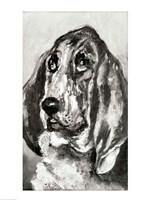 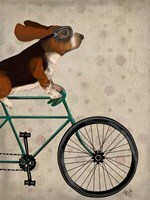 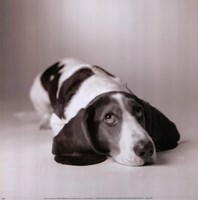 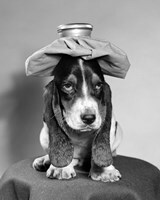 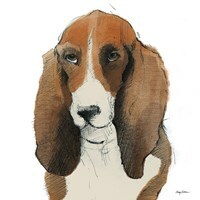 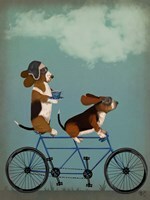 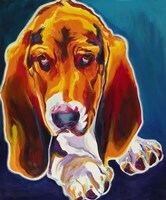 Basset hound art is one of the most recognizable examples of canine art available. 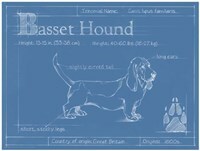 These hounds are known for their gentle and loving natures, making them a favorite of those interested in dog print wall art. 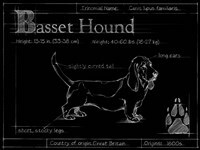 These hound art prints come in a variety of styles and basset hounds are some of the most represented canines in modern art today. 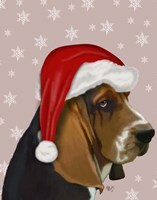 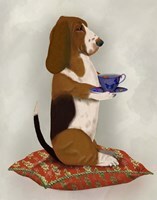 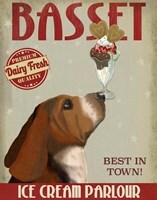 The popularity of basset hound art prints is largely due to the hounds' unique look and sound. 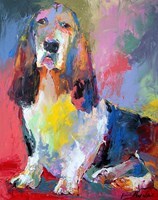 These canines are an unmistakable breed and their friendly natures have ingratiated them to art and animal lovers alike. 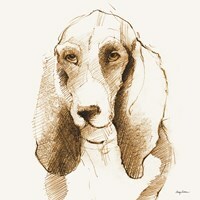 Their long ears and short legs give them an eternally puppy-like look that artists take advantage of in their depiction of canine art. 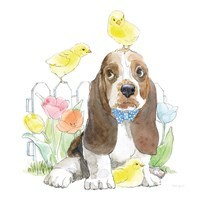 Basset hound art has several different styles that are bound to appeal to anyone looking to add these friendly canines to their interior design scheme. 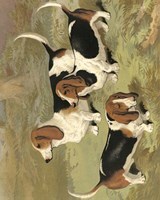 The styles are nearly all representational in nature however, the treatment that these depicted hounds are given varies widely depending on the artist. 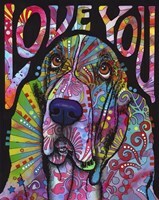 One of the most famous pop art canine artists, Dean Russo, embodies the gentility and easygoing nature of these animals in his hound art prints by using his signature vivid coloring and poses. 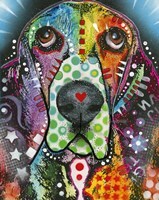 On the other end of the spectrum, artists choose to use photographic mediums for their work, such as in the hound wall art, 'Lend Me Your Ear'. 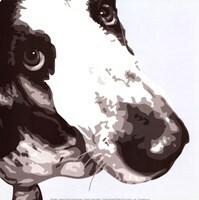 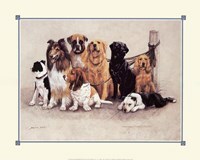 Famous artists also used this breed's iconic looks for their works as well. 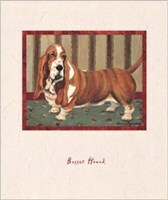 Henri de Toulouse-Lautrec was a famous artists whose achromatic depiction, 'Head of a Dog Running' was created in 1880 and is still a popular work among his admirers as well as being one of the most heart-warming pieces of canine art to feature basset hounds as their main subject. 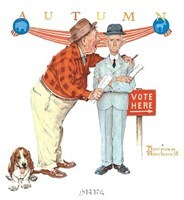 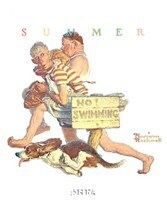 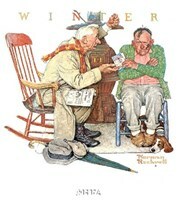 Additionally, famous illustrator Norman Rockwell frequently used basset hound images in his works where the easygoing and curious nature of these hounds lent themselves well to his works 'Final Speech', 'Shared Success', 'Endless Debate', and 'Hasty Retreat' to name a few.